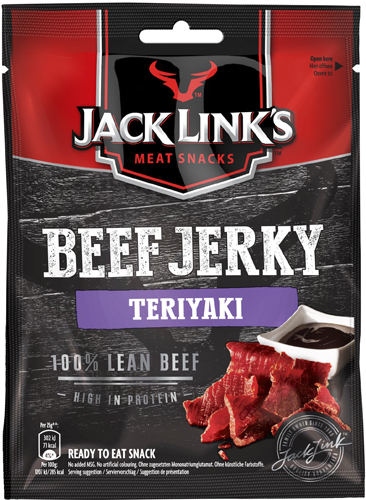 Jack Link's Beef Jerky is the finest beef, refined with the choicest spices and then leisurely air-dried according to the old family recipe. 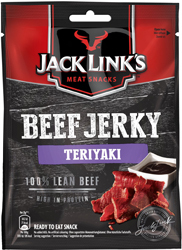 It takes as much as 193 g of top grade beef to produce just 100 g of top-class Jack Link's Beef Jerky. 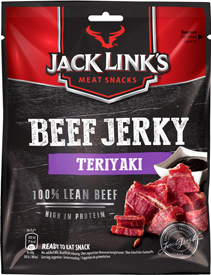 Jack Link believes that all of this care and patience produces probably the very best beef strips in the world. 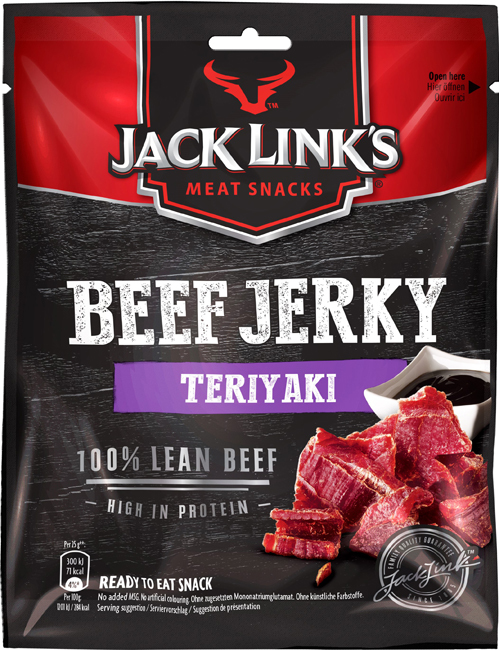 Protein rich with only 3,7% fat, Jack Link's Beef Jerky is the perfect snack for when you're on the move or playing sports.